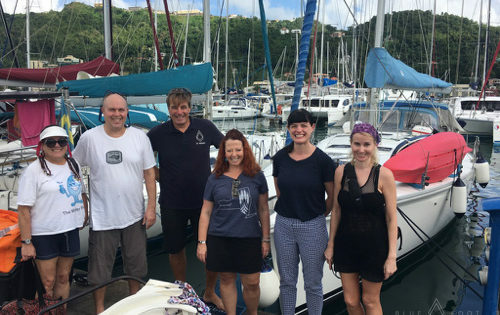 If you’re not a fan of superlatives, I’d suggest you look away now, because there is no way that I can get through this sailing blog without them, starting with the fact that my Christmas trip with BlueFoot Travel, from Grenada to St Vincent was the Best Holiday Ever. To give you some context, I’d barely sailed before the trip. I’d been on board a 32-foot yacht in Britain a few times, pulled a few lines, stood where I was told to, but never really understood what was happening. In fact, I was the girl that was on board for several races and hadn’t actually realised we’d crossed the start line. I had however realised that I loved being on the water and that I wanted to become a better sailor. I’d been thinking about booking a sailing holiday for a while. I like active holidays, and as a solo traveller, I like trips where I’m with other people. However, although I want to be active, I also want to relax, and although I want to be around people, people can sometimes be annoying. And although I wanted to sail, I was conscious that I didn’t know my jib from my jibe. Oh, and I’d decided I wanted to be away over Christmas. So, I was basically looking for a sailing holiday in December, where I was active but not too active, where I could learn to sail but not feel embarrassed by my inexperience, and where I was around people but also had my own space should I get a touch of the Garbos. You’ve got it; I basically wanted the moon on a stick, on a boat. Luckily for me, after a narrow escape where I almost booked a sailing trip sleeping in a dorm with 7 other people with only a lee cloth for privacy (eek!) and where I’d have had to muck in on the cooking and cleaning (yikes! ), I found BlueFoot Travel. Huzzah! 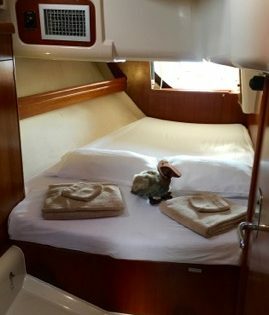 Their blend of sailing tuition, ensuite private cabins, and all-inclusive home cooked food seemed almost too good to be true. And they had a spot available on their Christmas trip. Having said that, it was still with some trepidation that I booked the trip. As anyone who has looked at a hotel or property website knows, photos can be deceiving. And even with my own cabin to escape to, what would happen if the other guests were plonkers? Or thought I was a plonker?! Before I could worry too much about that and go ahead and finalise the booking, I’d needed to work out flights. Because the trip was over Christmas, and I was booking last minute, it was a bit tricky to find available flights from the UK. Sam was incredibly patient though and responded to my 157 emails explaining all the different routes and options available. I eventually booked my flights with Flight Centre who sorted me out an inbound route via Miami and an outbound route via Barbados and I book-ended my stay on Nemo with a couple of days in each. Once that was all done it was on to the much more exciting business of confirming details with Sam. When she sent through the food and activity preference sheet, where I could specify my likes and dislikes including portion sizes and booze choices, I knew that I was in for a special trip. A word of warning though, unless you’re the guy from Man V Food, I’d tick the ‘Medium’ box when it comes to food portions! Then with the paperwork completed, it was just a case of counting down the days. And buying a floating lanyard for my sunglasses. Lanyard purchased before I knew it, I was at the meeting point in Port Louis, bumping into my travelling companions. 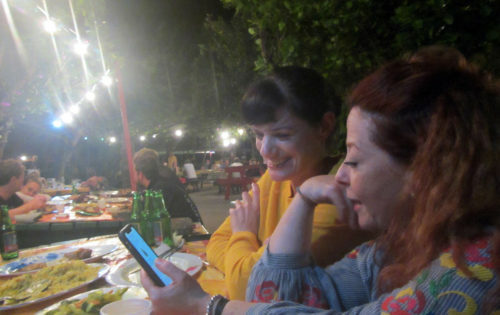 There were two other solo women and a couple, all of us within about 10 years of each other in age. I’d got in touch with Sam beforehand to see who else was on the trip in case I was on board with children; no offence to kids obviously, but well… I’ve since learnt that if a family with children wants to book onto a trip then they need to take the whole boat which is reassuring to know. Any remaining qualms I may have had about what life would be like on board disappeared as soon as I saw Nemo. She is stunning. When I stepped on board I felt as though I was stepping into someone else’s glamorous life. She’s all cream leather and polished wood, with stylish fixtures and fittings. Sam and Neil keep her in pristine condition and absolutely spotless. In keeping with that, it was ‘shoes off’ before we had a tour of the boat and a safety briefing. We were also each given our own water bottle and beach towel to use for the duration of our trip. There’s a device charging point on board so all you need is your USB cable to charge your phone, rather than any plug adapters. 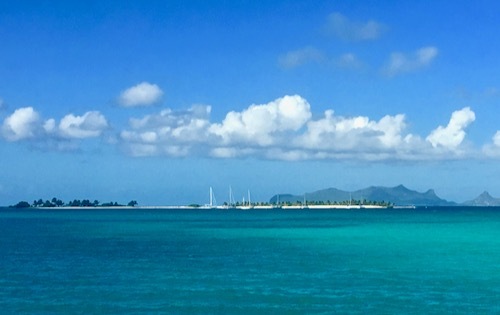 There’s no WiFi on board, although there’s often free WiFi available at the rum shops and restaurants on shore. This was my cabin, aka The Pelican Cabin. There are four guest cabins which are all roomy (I was in the Pelican Cabin pictured here). Obviously, you’re on a boat, so they’re not “loll about on a chaise longue” roomy, but they are definitely large enough to swing a cat, should you so choose. There’s also plenty of clever storage, so if you heed the advice to only bring soft luggage without wheels, you’ll have plenty of space to store all your bits. I’d have had even more space if I’d followed the instructions in the packing list and left most of my clothes behind. The list is indeed correct when it says that underwear, swimwear, a couple of pairs of shorts, some t-shirts and a hat are pretty much all you need. Next time I go, I’m going to pack what I think I need, take half of it out of my bag then chuck some more things out for good measure. And I’ll definitely leave behind my espadrille wedges and evening clutch bag. As well as being spacious and spotless, the cabins are also genuinely en-suite, complete with handheld showers. Often though, I just showered using the deck shower on the end of the boat, because that’s how you roll when you’re on a yacht in the Caribbean. Not naked showering though obviously. I’m not French. Although each day was different, they broadly followed this pattern: Eat; Sail; Eat; Maybe More Sailing; Relax; Eat; Sleep. Timings were pretty flexible and provided we were underway with enough time to make our next destination before the next meal, there was no particular timetable to follow. I’m an early riser so tended to be up first. Sitting on deck, surrounded by crystal clear blue seas, with the sun rising, the sound of the water gently lapping against the side of the boat is my idea of the perfect way to start the day. Along with coffee of course which is in plentiful supply over breakfast. 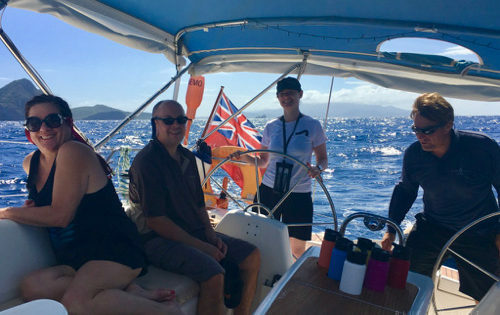 Unexpectedly perhaps for a sailing holiday, Sam and Neil (or S&N as I will henceforth refer to them) make sure that there is enough flexibility such that each guest gets the time to craft their own experience. Whenever we anchored, there was always the opportunity for S&N to zip us ashore in Dory (Nemo’s tender). One of the guests was always keen to top up her tan; taking advantage of the sailing downtime to laze on the beautiful quiet beaches on the islands we visited. Others preferred to snorkel, with S&N escorting them to the best snorkelling locations around our anchorage. As a pasty Welsh girl who finds sea creatures frankly unnerving, I preferred to swim ashore to do some yoga, and then swim back to the boat. If my balance was a bit better I could probably have yoga’d on deck, but S&N had enough to do without having to fish me out of the water if I fell overboard. Speaking of balance, the paddle board was put to good use on our trip. One of the other guests was Californian and as they rescind citizenship if Californians can’t paddleboard (or something) she showed us how it was done gliding effortlessly around without so much as getting a little toe wet. With her and S&N’s guidance, I was shakily able to stand up by the end of the trip, albeit looking as though someone had asked Bambi to SUP. After we’d all had our fill of SUP’ing, snorkelling, sunbathing or swimming, we’d all make our respective ways back to the boat, drying out on deck before Sam bought up some coffee or sundowners. 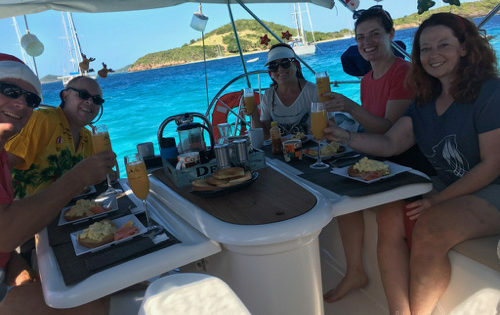 Breakfast on Christmas Day in Tobago Cays. There should be a new version of Masterchef where the contestants are required to plan and execute a week’s menu with limited storage space, no access to a supermarket, a floor that pitches through 45 degrees, and no utensils other than a titchy blender and a two-ring stove. Sam would win. There is nothing that this woman can’t do. Accommodate myriad food intolerances? No problem. Handmake pastry below deck in a Caribbean climate? Sure thing. Prepare lunch when it’s blowing a hooley and the boat’s heeling over? Bring it. Provide a traditional Christmas lunch with all the trimmings in two foot of space without swearing? No sweat. The food was plentiful, fresh and delicious. And by plentiful, I mean that Henry VIII could have feasted on Sam’s food and not been able to clear his plate. Breakfast, lunch, and a two or three-course dinner were all provided every day along with copious amounts of wine, beer or spirits for those that wanted it, or soft drinks for those that didn’t. FYI, if someone on Nemo asks you if you want a Painkiller, they’re referring to a cocktail and not offering medical assistance, so generally, the answer is Yes. Enjoying time on the helm with Neil by my side. 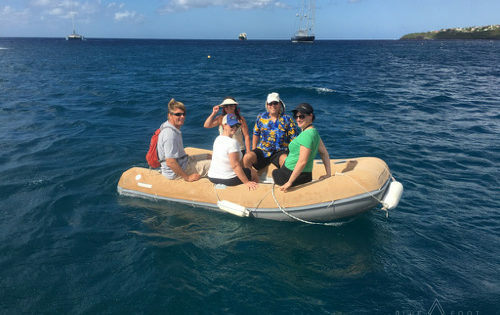 Of the five guests, one had no interest in learning to sail and in her words “was happy to be a passenger”, and of the remaining four guests I was by far the most inexperienced sailor. As a qualified instructor who spends part of each year teaching, Neil is an incredibly skilled teacher. He was able to give individual instruction to each of us based on the specific experience we had, and what our sailing goals were. He’s also incredibly patient. I don’t think I could have kept my cool if someone was asking me for the 72nd time how to tie a bowline. S&N were always careful to include those that wanted it in any sailing tasks. So I had my first experience of helming, dropping and raising an anchor, flaking the mainsail. 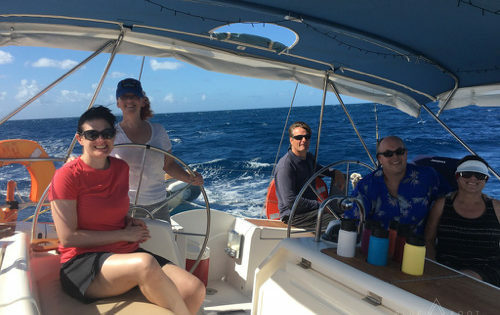 For those with more experience, they were able to improve their knowledge of trimming and how to set the course and sails based on the conditions. S&N obviously have a lot of integrity which comes across in their desire to run their business with the least negative impact on the environment, whilst contributing to the local economy and also supporting local charities. S&N recently started supporting Pack for Purpose, where guests can bring some supplies from a list specified by one of the local charities. The couple on our trip was one of the first BlueFoot Travel guests to support the initiative. Beach BBQ in Tobago Cays. At each anchorage, “boat boys” from the nearest island would come to the boat offering goods or letting us know about their bars or restaurants. Through the community that S&N have built up and their support of the local economy, they know most of them by name and Sam would sometimes have produce for the next meal delivered to the boat. On perhaps my favourite night of the trip, S&N had arranged for us to be picked up and taken to a beach BBQ run by a couple they know. Eating freshly barbecued lobster whilst sitting barefoot on a Caribbean beach is one of those unforgettable experiences that I definitely wouldn’t have experienced had I not booked this trip with Blue Foot Travel. So hopefully you can see why it’s not too much of a stretch for me to say that this is the Best Holiday Ever. Rachel is a fun loving lady who is on a mission to explore the world and try new things. She also runs her own data management business, The Data Works, in London, UK. 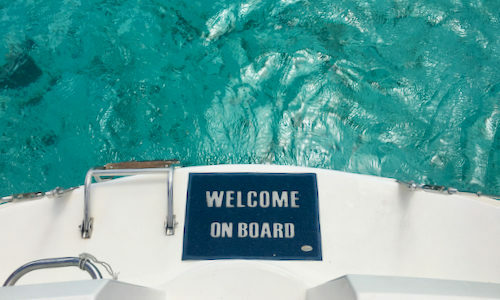 Caribbean Cabin Charter Schedule for 2019-20 BlueFoot Travel Supports Pack for a Purpose BlueFoot Travel Becomes a NauticEd Practical Training School Winter Sun And Fun. Get Your Sailing Fix!